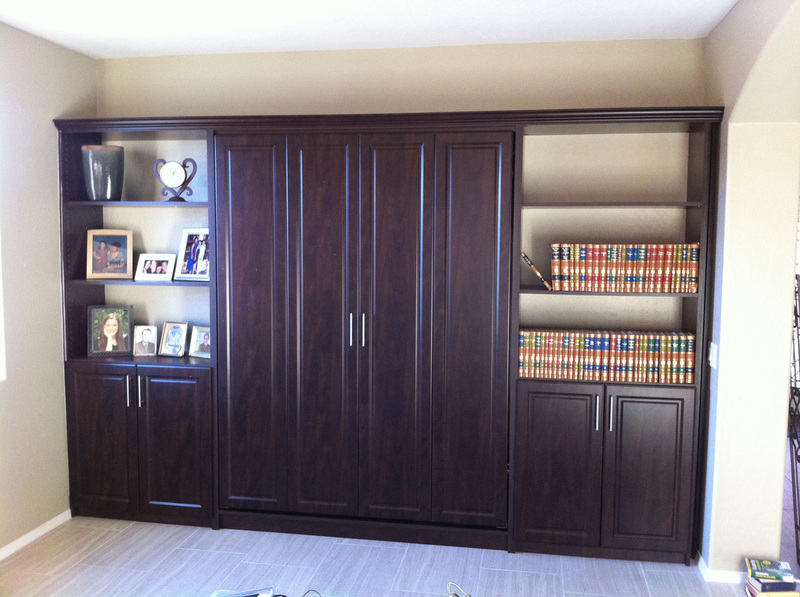 Las Vegas Wall Beds | Custom Closet Systems, Inc. Storage needs are unique to each household. Just like the storage systems we are waiting to create for you. 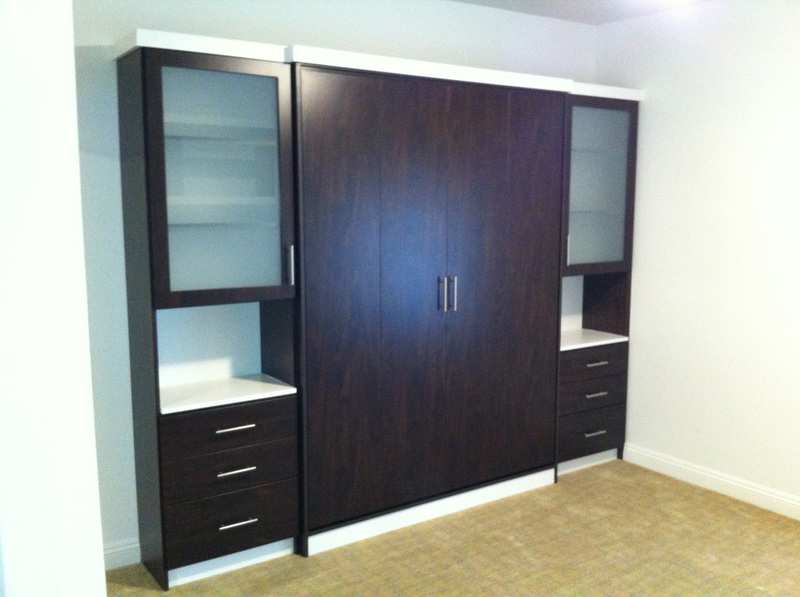 We will help you choose the right size, color, wood grain, and design that fit your own special needs. 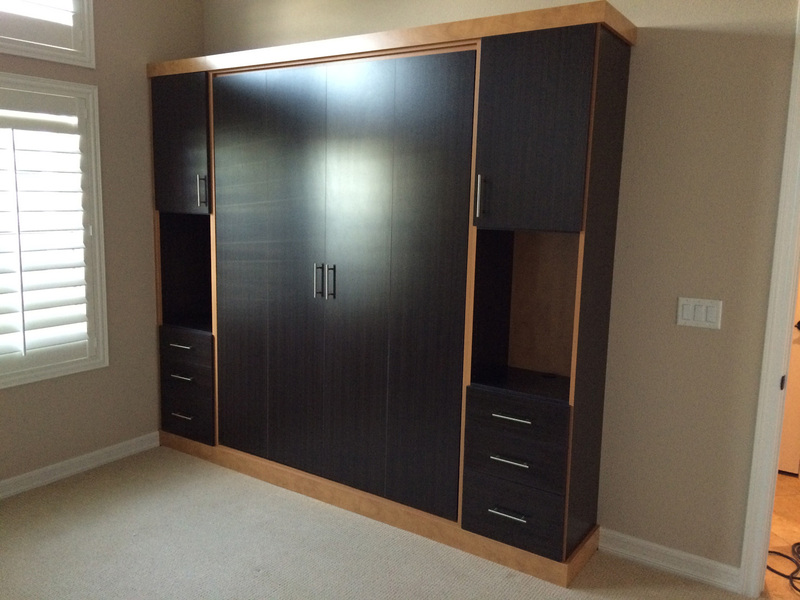 Maximize your floor space with a wall-bed that tucks away into a storage cabinet. 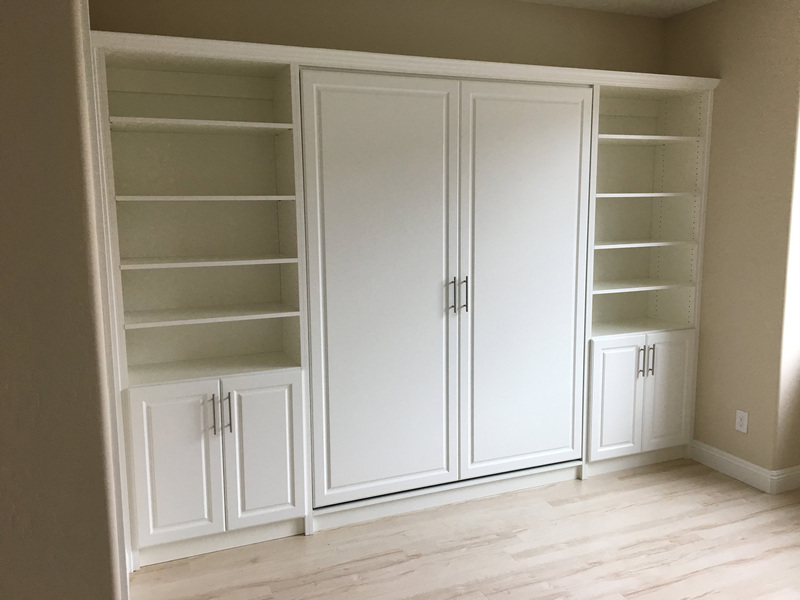 The wall-bed in combination with filing cabinets, storage furniture, and an office desk, turns your spare room into a multipurpose room. A home office, hobby, or exercise room by day easily converts to a guest area bedroom at night. This smart wall-bed system accommodates out-of-town guests, grown kids, grand-kids, or even a parent in need of temporary place to stay. 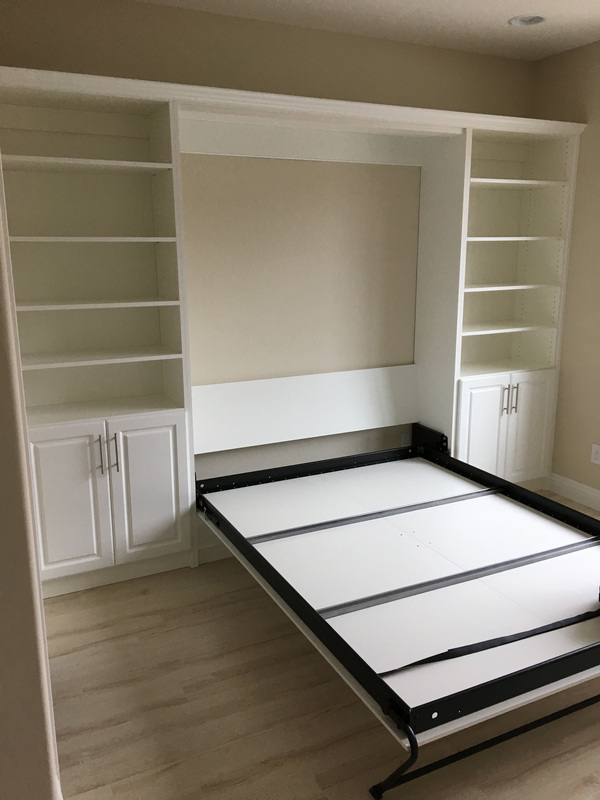 The wall-bed frame is available in full and queen sizes and works with standard mattresses and also acts as its own box spring.